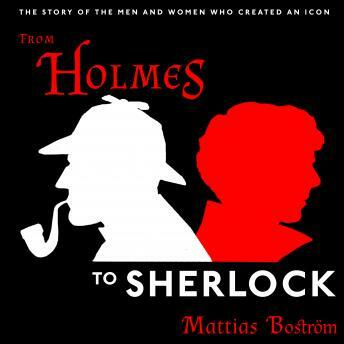 In From Holmes to Sherlock, Mattias Boström recreates the full story behind the legendary detective and his many incarnations-a real-life narrative of success, tragedy, and family secrets that has never previously been told in its entirety. The beginning is classic: a young Arthur Conan Doyle sitting in a Scottish lecture hall taking notes on his medical professor Dr. Joseph Bell's powers of observation. More than a decade later, Conan Doyle's short stories became a runaway success in the popular monthly Strand Magazine. A parallel Holmes soon evolved with a whole industry of plays, parody, and pastiche, and Boström skillfully follows the men and women who have perpetuated and recast the Sherlockian myth-including the actors who became famous for their personifications of Holmes; Conan Doyle's sons, who desperately wanted to make big business of the detective; the Georgian princess who ended up entangled in the Conan Doyle legacy; and finally the pair of modern-day fans who brainstormed the idea behind the TV sensation Sherlock. Written in novelistic prose, Boström's account is a singular celebration of the most famous detective in the world-a must-read for newcomers and experts alike.